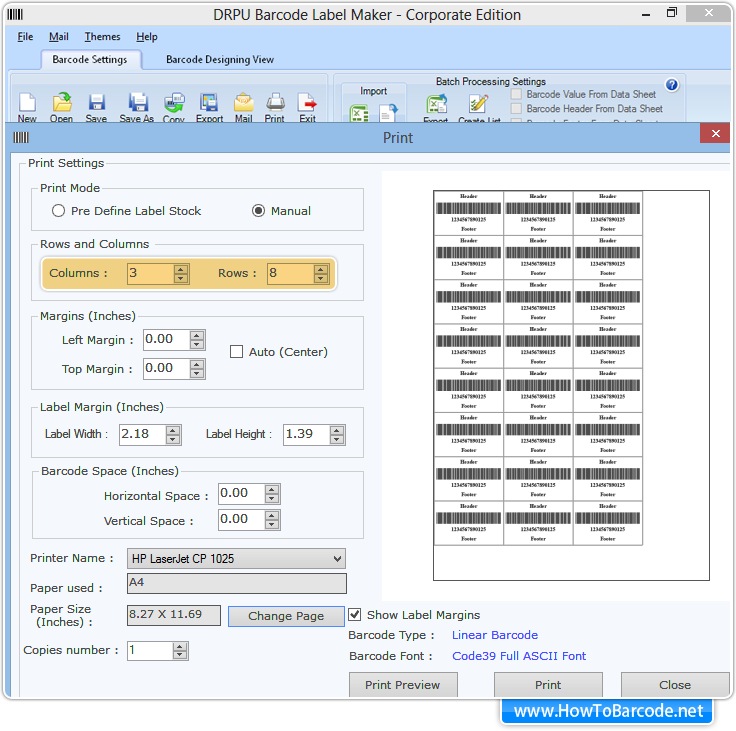 In Manual Print Mode, You can set number of rows and columns, different margins (left-right, top-bottom), label width and height along with barcode spaces as per requirement. 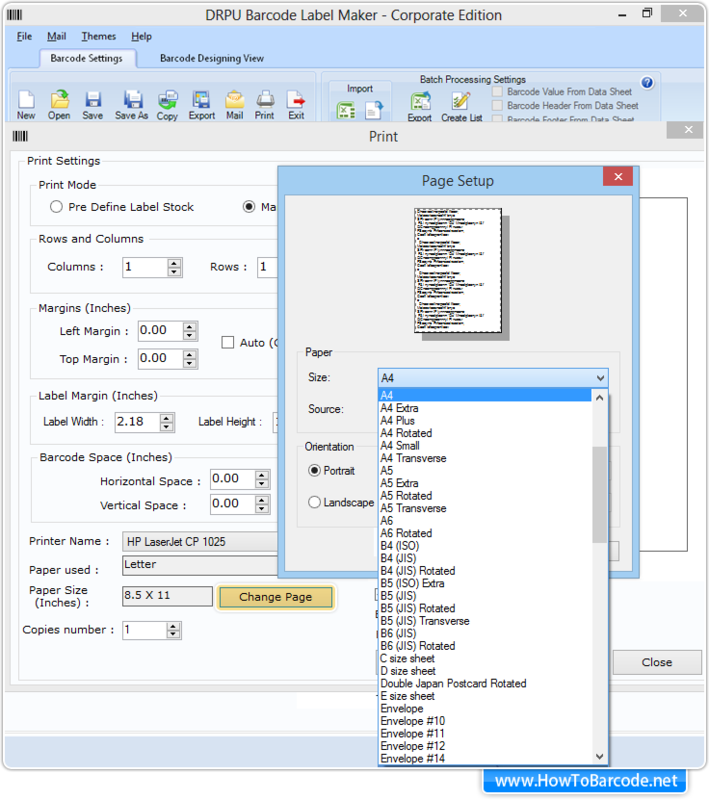 Set printer and change paper settings including paper size and orientation, if required. Print Preview facility is also available to avoid printing mistakes. 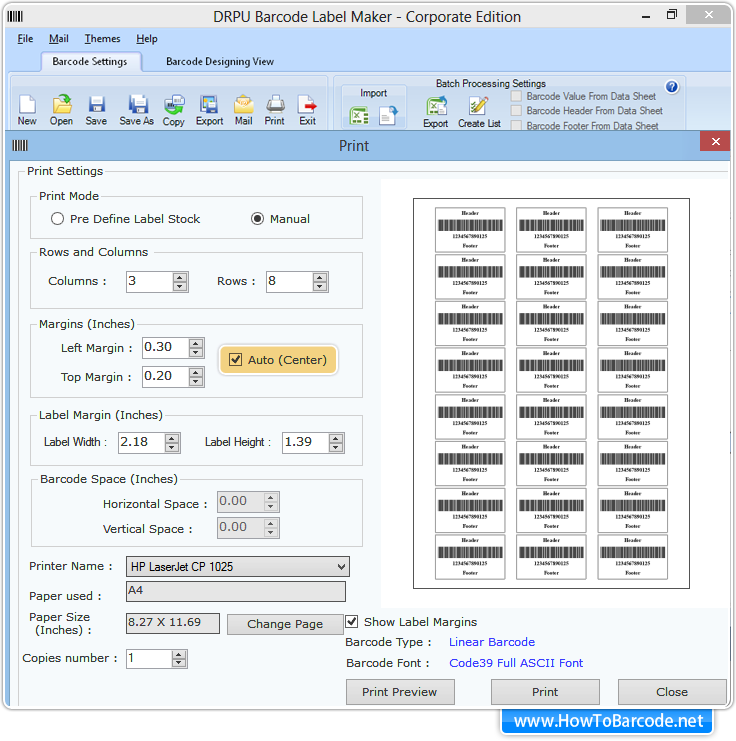 Design your printable barcode using either Barcode settings or Barcode designing view method of barcode software. After designing barcode labels according to your industry requirement, you can now print using printing settings. 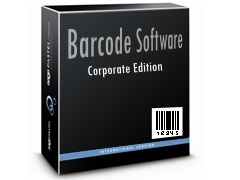 Software has two printing modes – Pre define label stock or Manual. 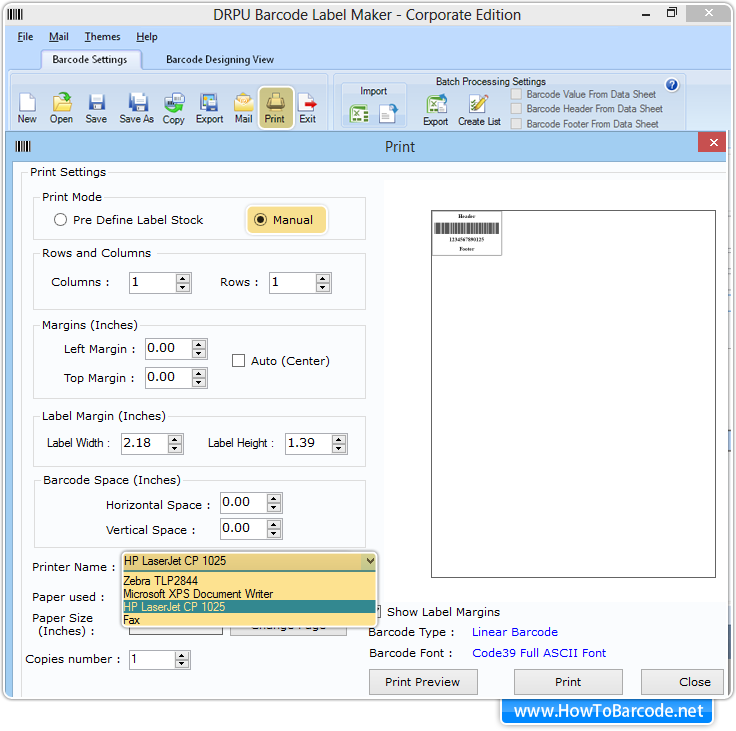 Below we have explained step by step procedure to print designed barcode using manual print mode from barcode settings. 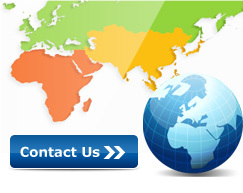 Select printer and change page as per your requirement. Set page in which you want to take print of designed barcode. To change page click on ‘Change page’ button and choose desired paper along with orientation. According to your selected paper, now you need to set rows and columns and label margins (Height and Width) manually. To align barcode images properly on selected paper either set left, top margins, barcode horizontal and Vertical spaces manually or just check ‘Auto (center)‘ option. Now press 'Print' button to start printing. ➨ Click here to learn how to Set Label Size and Margins. ➨ Click here to know how many types of barcodes are there. ➨ Learn how to print your designed labels using Pre Define Label Stocks Print Settings. ➨ Know how to save your Custom print settings using pre define label stock print mode.